While most people believe that wisdom teeth removal is a necessity, not every patient has to have his wisdom teeth removed. The reason that most dentists suggest having your wisdom teeth removed at an early age is because they are known for causing serious problems when they are fully formed. By removing them before the issues develop, you have one less problem to worry about. Wisdom teeth are problematic to oral health in many ways and can lead to an increased risk of periodontal disease, oral infections, and dental caries. Why Are Wisdom Teeth Problematic? Wisdom teeth are a third set of molars that come through the gums long after the rest of a person’s adult teeth have emerged. Third molars are not necessary to oral function and actually pose threats to oral health because there is not enough room in the mouth for them to emerge. When third molars come through the bone and into the gums, they tend to become stuck instead of erupting in upright positions. Partially exposed, debris and bacteria tend to become trapped under the gums and can infect wisdom teeth and neighboring tissues with time. With limited room, third molars typically cause orthodontic problems as well. They can cause teeth to crowd and overlap. In addition to posing threats to oral health and the placement of teeth, wisdom teeth can produce uncomfortable and painful symptoms such as facial tenderness and persistent headaches. For most people with wisdom teeth, having third molars removed is considered necessary for preventing orthodontic problems and oral infections such as abscesses. 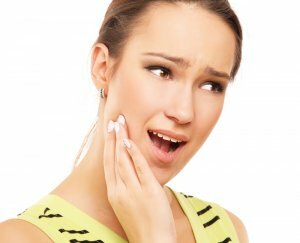 In most, if not all cases, having wisdom teeth extracted is a preventive measure that can greatly reduce the risk of developing a number of conditions that might affect other teeth and the gingiva. Dr. Mohammad Erakat has specialty education and training to perform tooth extractions. During treatment, he will utilize pain-relieving anesthetics and sedatives to ensure that our patients have positive and comfortable experiences. Call Prestige Oral surgery today at 732-297-7000 to reserve a consultation.